Do you know that there are more bacteria in a person’s mouth than there are people in this entire world? Yes this is absolutely true. This fact highlights the importance of oral hygiene. Mouth is the place from where we eat and drink, so whatever will be in our mouth will directly enter in our body. If we have germs in the mouth and they enter in our body then they will cause immense destruction. Bacteria will attack heart, liver, lungs and kidney and it will also damage the immune system thus leading to many disorders. In order to prevent our self from such problems the maintenance of oral hygiene is very important. It will keep your digestive system in proper working position. 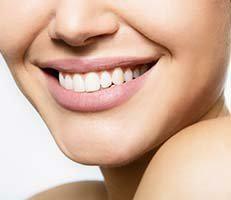 If you think that maintaining oral hygiene requires some rocket science then you are wrong. If you take care of smaller issues even in your daily life routine you can maintain the oral hygiene. Keep a bottle of mouth wash in your bag. Whenever you go to visit just rinse your mouth with it. Do not forget to brush your teeth twice. If the oral hygiene is not maintained well then this unhealthy situation can lead to the above mentioned oral infections. In order to prevent from such deadly infection it is significant to practice oral hygiene strictly.